As the world's largest shopping mall and entertainment store, there are more than a few opportunities to indulge in some retail therapy at the Dubai Mall. But if shopping is not your bag, there are a whole host of other activities on offer there. 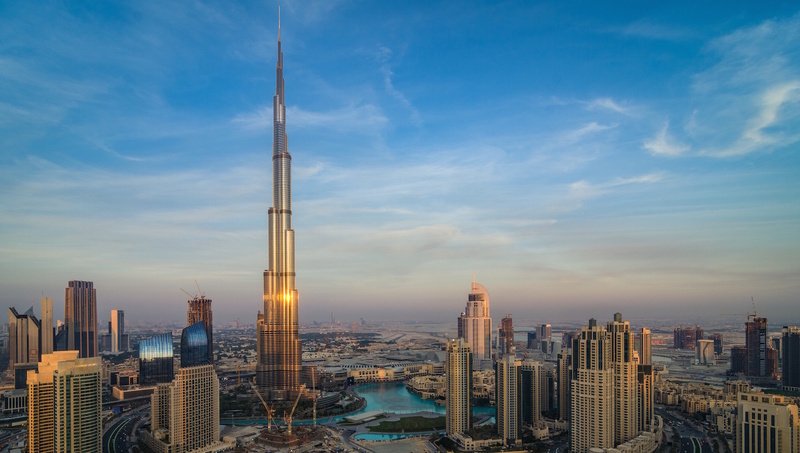 Standing at 830 meters, Burj Khalifa is the planet's tallest skyscraper. Visitors are able to ascend the tower and get an unbeatable view. It's a theme park inside the mall! Originally designed to help people conquer their fear of flying, this flight simulator can also be great fun for pretending to fly the high skies. 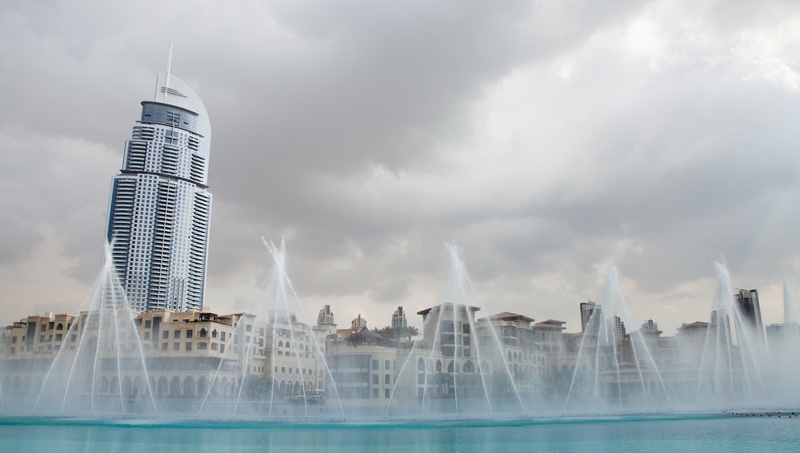 With water shooting 150 meters into the air, these fountains - located just outside Dubai Mall - are a true sight to behold. 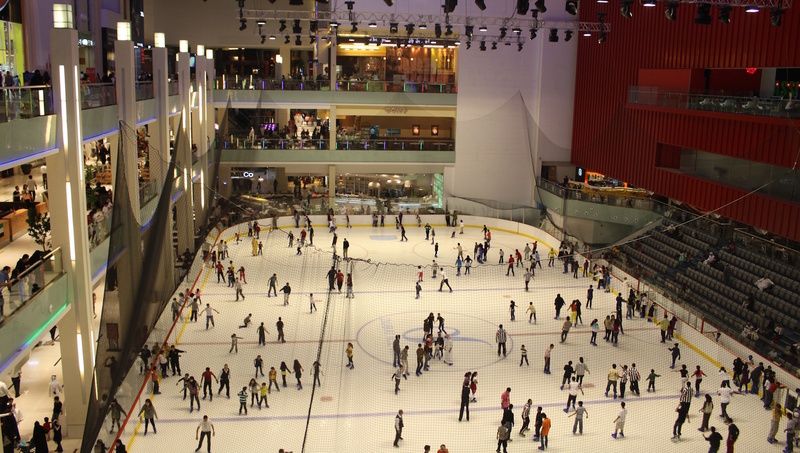 If you crave a break from a full day of shopping, there's an ice rink there to provide a cool escape! If you're a bargain hunter, the best time for deals at Dubai Mall is right after the holiday season. If you prefer less crowds and want to take your time window shopping then plan your visit for another time of year! How many stores are in the Mall? There are more than 1,200 different stores - some unique to Dubai, some from other parts of the world, such as London's Harrods. Enjoy and go wild! There are some food courts in the Dubai Mall, but no restaurants - if you fancy a sit-down meal then head over to its' sister mall, Souk Al Bahar, to grab a bite. Can I get a good view of the city from the Mall? The best view over the city is indisputably from the Burj Khalifa tour, easily accessible from the Dubai Mall. Open Sunday - Wednesday, 10:00AM to 11:00PM. Thursday - Saturday, 10:00AM to 12:00AM. Enter the Dubai Mall free of charge. Pricing varies for activities within the mall. Not compulsory, but helpful in exploring the world's largest mall! Take the Dubai Metro to the Burj Khalifa station and a bus will take you directly to the mall. Best times to visit are in the morning and evening. Hit the stores early to beat the crowds or at night to miss the peak heat of the day. With over 1,200 retail stores, be sure to wear your comfy shoes and take advantage of the many information booths! Service is on very high level, very well organized. Staff is kind, helpful and frendly. I am very satisfied and I can recommend to everybody to use this service. I enjoyed all my jorneys very much! Had a fabulous time with 2 other ladies in Dubai. Journey was smooth and the attractions great, were even though I would have preferred to have spent more time in Dubai. I highly recommend the company due Kanhaiya as he is polite and a person of high regards. Thank you Kanhaiya for making my day. Amazing tour, great price and value ratio! Great guide, drivers and bus. The time in Dubai just flew. Lots of useful information from the guide, fun facts and so on. It was really fun and educational.